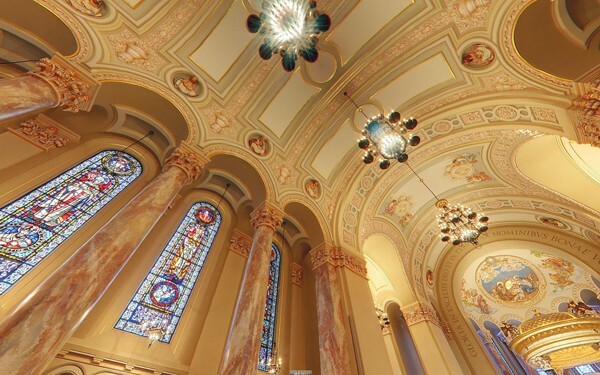 Originally designed by renowned church architect, Emmanuel Masqueray in 1915, this monumental Cathedral features beautifully sculpted moldings, exquisitely detailed capitals and elaborate bas-relief scenes and Stations of the Cross. 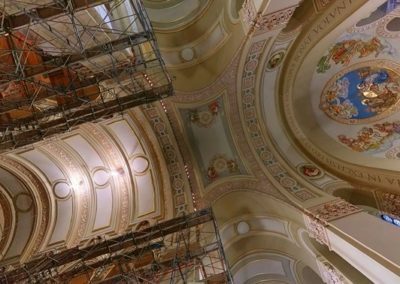 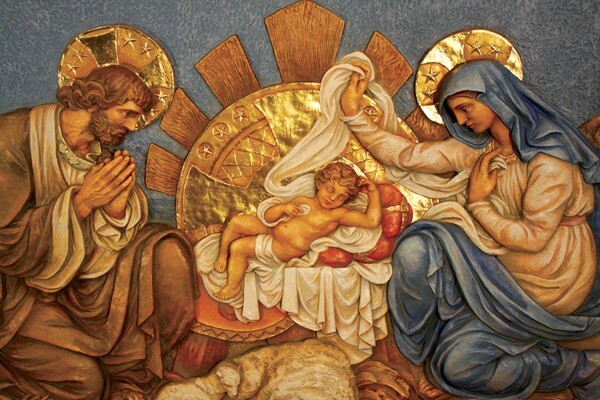 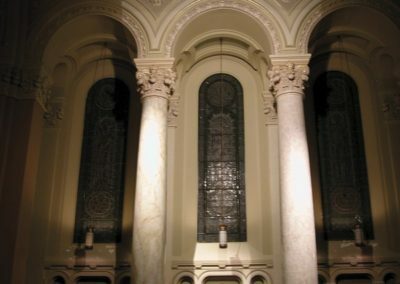 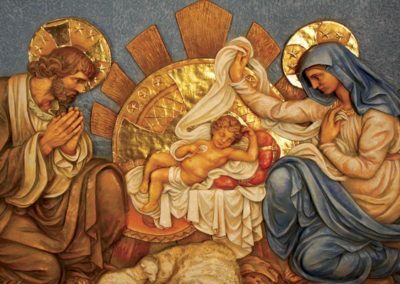 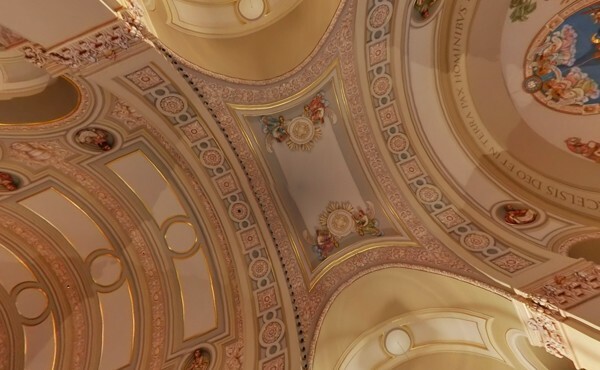 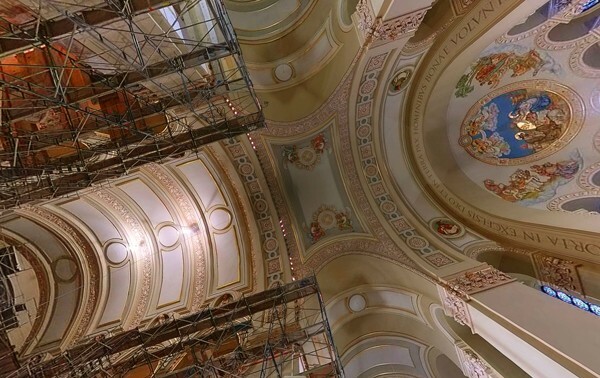 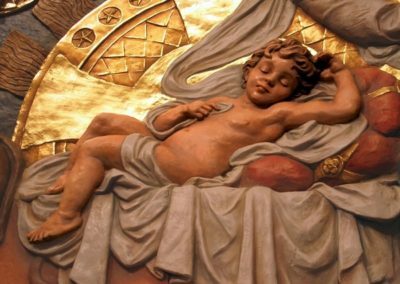 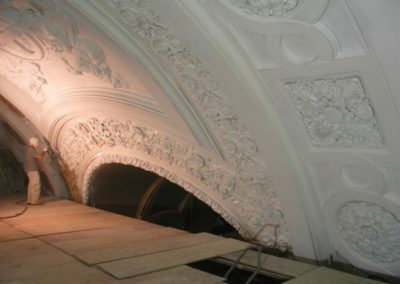 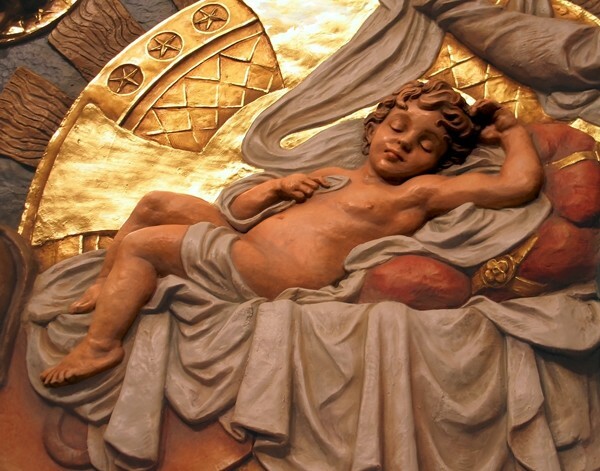 The Cathedral’s rich decoration was lost in the 1970’s in favor of a whitewash t hat covered the elegant painting that previously highlighted the ornament. 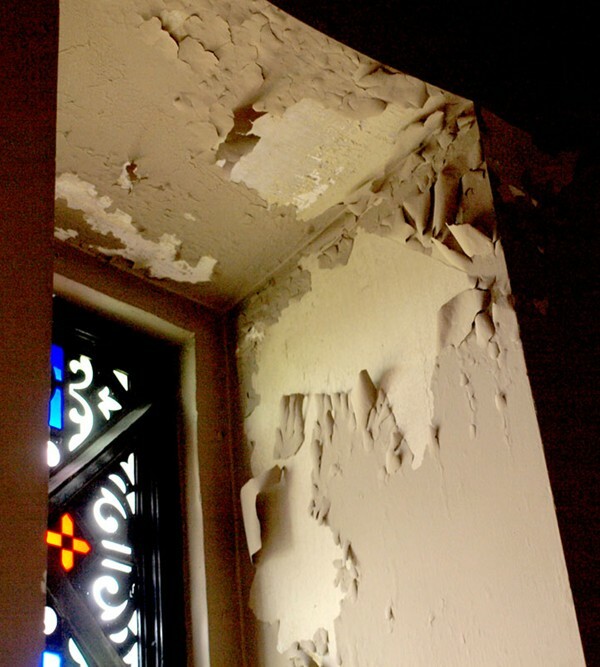 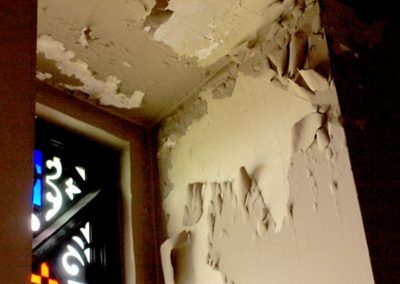 With eight layers of peeling paint and deteriorated plaster, it was apparent in 2008 that the Cathedral was again in dire need of maintenance and restoration. 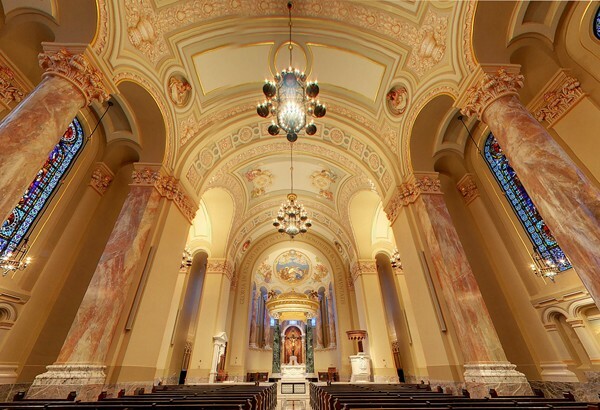 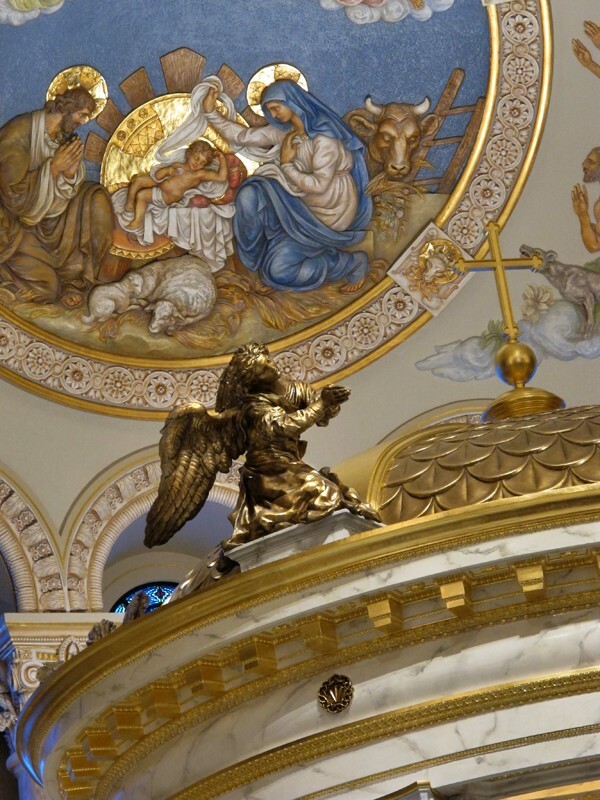 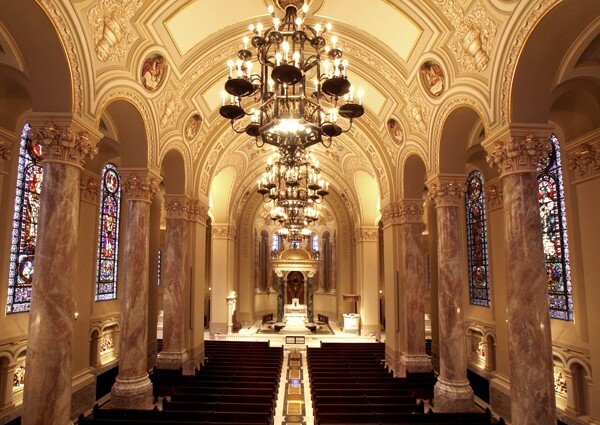 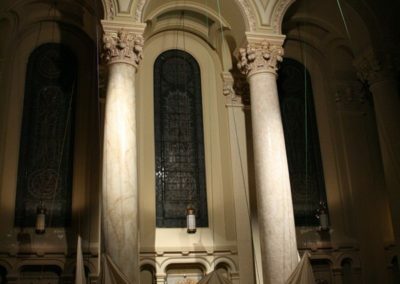 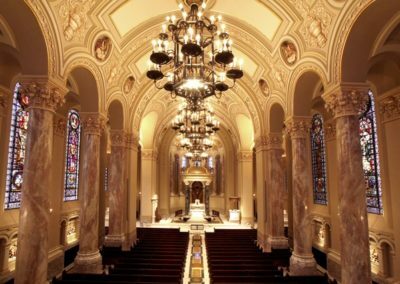 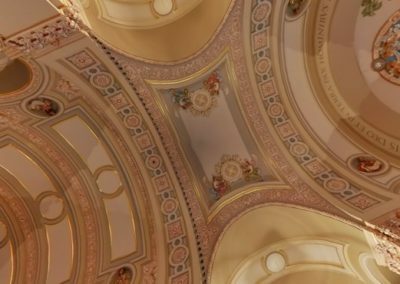 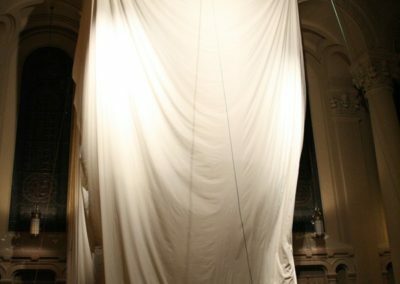 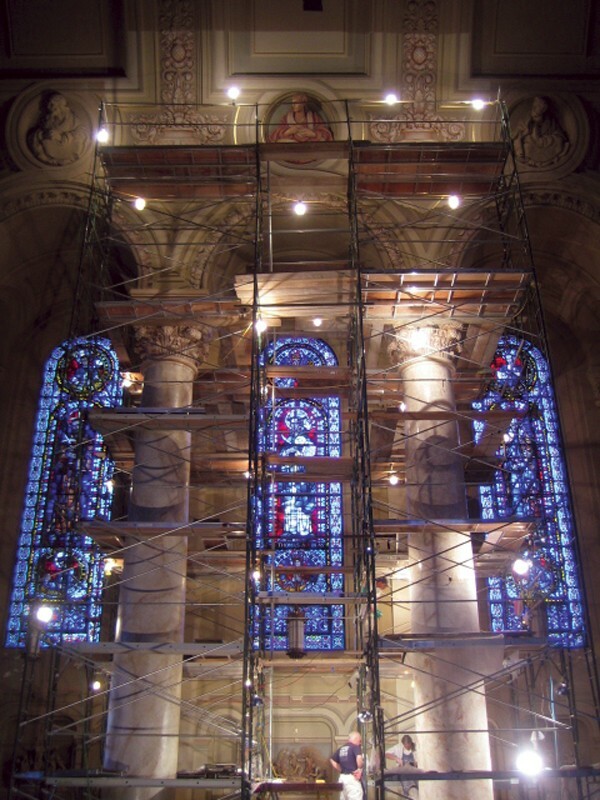 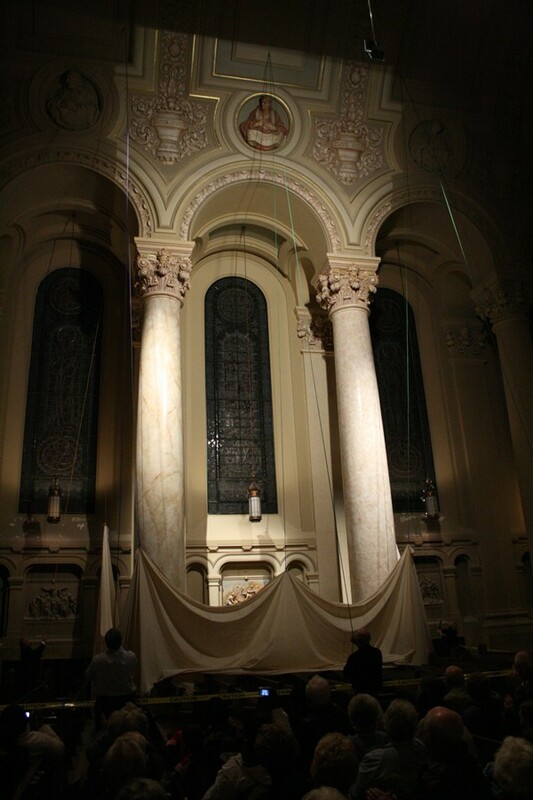 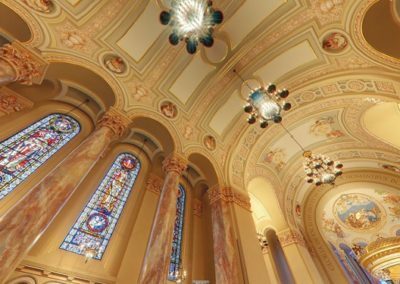 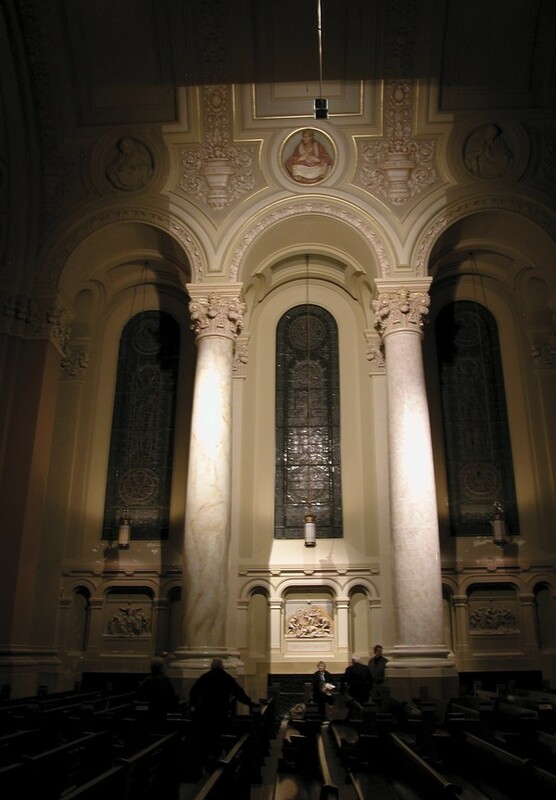 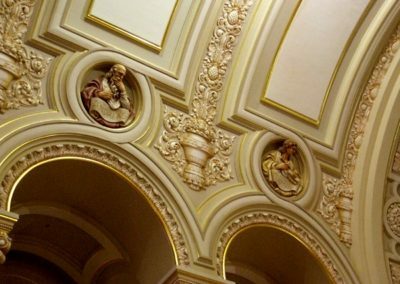 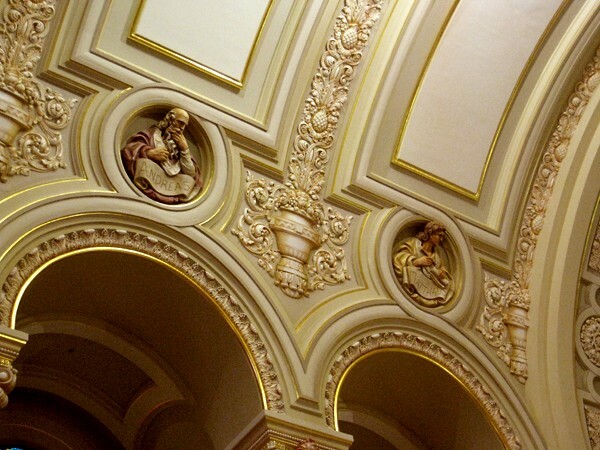 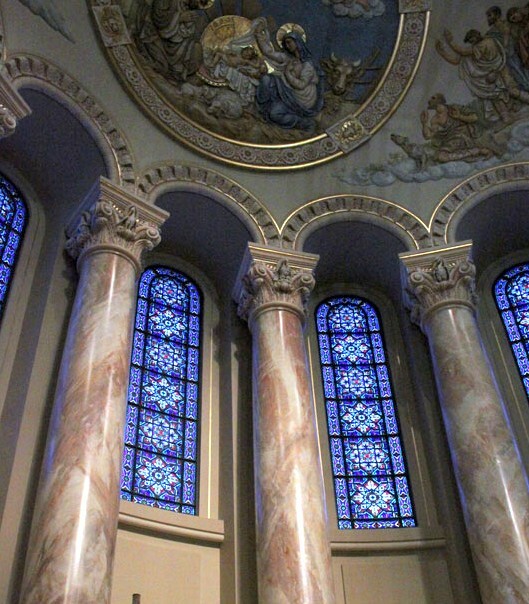 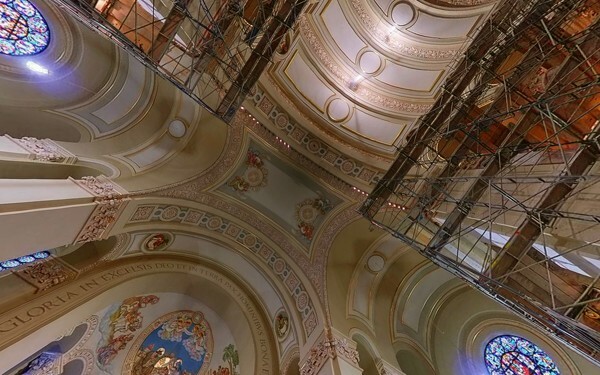 Conrad Schmitt Studios was entrusted with the privilege to paint and decorate the Cathedral’s grand interior. 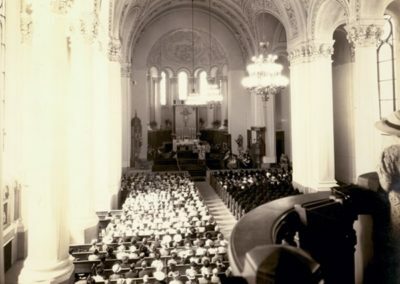 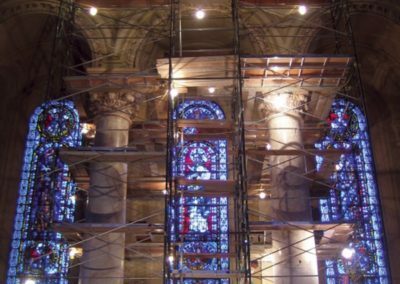 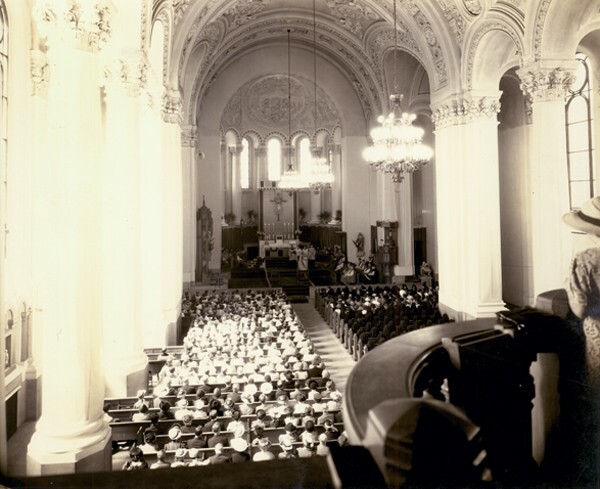 Having decorated the Cathedral in 1942, overcoming the challenges then associated with such an endeavor during wartime, the Studio was uniquely qualified to restore the beauty of this historic landmark church. 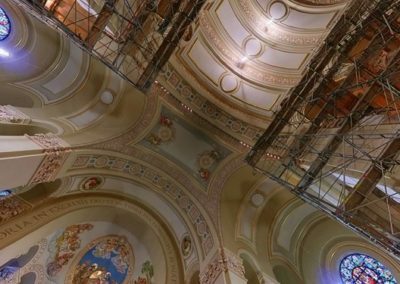 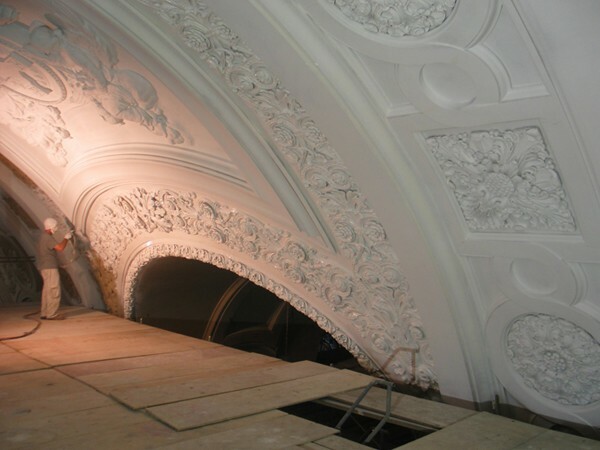 The project was ignited with the unveiling of a floor to ceiling sample that illustrated the vision for the entire restoration. 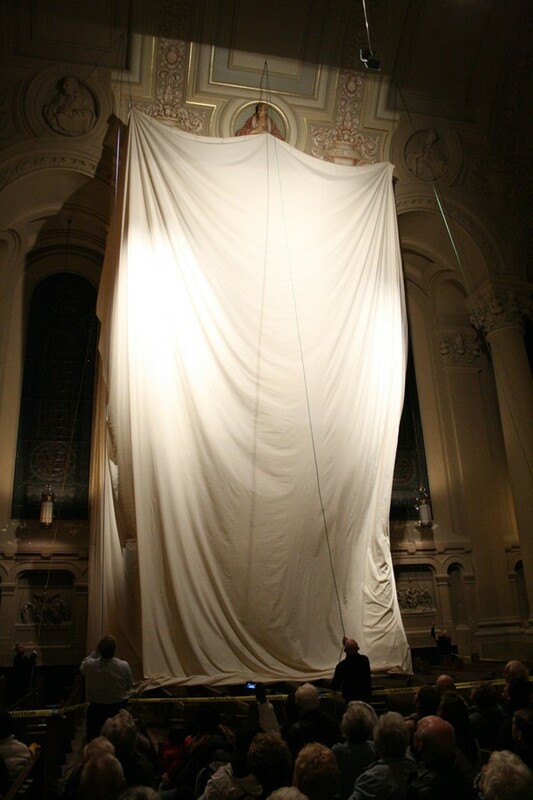 The sample helped generate the enthusiasm and funding for this monumental undertaking. 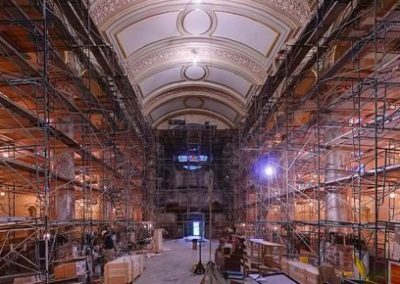 The $16.2 million dollar project included extensive work on the infrastructure including complete electrical rewiring, updated acoustical and HVAC systems as well as long overdue structural maintenance. 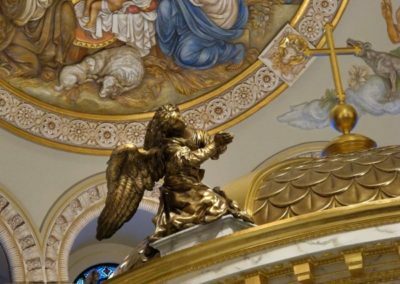 The final special element was the installation of a beautiful new baldacchino that creates a heavenly canopy over the new marble altar. 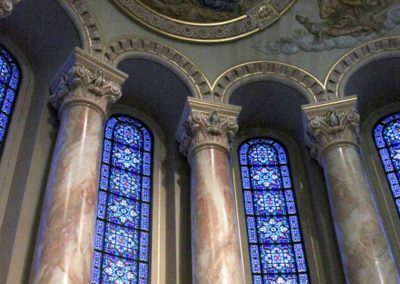 Today the marbleized columns, glazed moldings and touches of gold leaf respect and honor Emmanuel Masqueray’s original vision. 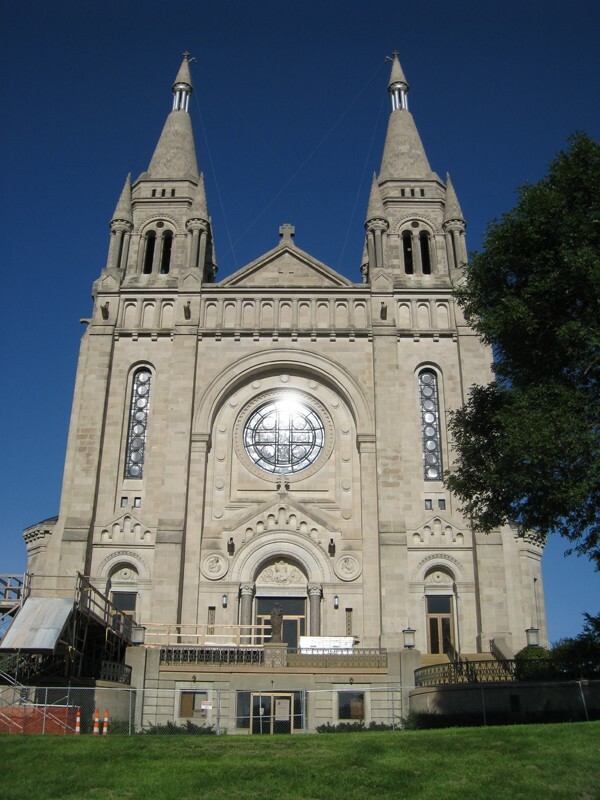 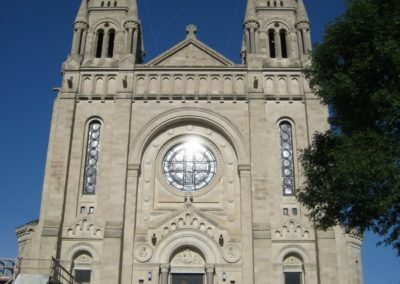 This beautiful cathedral, with its twin spires overlooking the city, has become a symbol of hope and redemption for the City of Sioux Falls and all who visit this beautiful and holy House of God.